At CEATEC Japan (Combined Exhibition of Advanced Technologies), Sharp has pushed the envelope further with the unveiling of its new pixel mammoth prototype: the IGZO 8K monitor. Its resolution is four times that of the just introduced top of the line 4K panel at 7,680 x 4,320 dots. This is more than enough to satiate any gamer’s appetite for pixels. 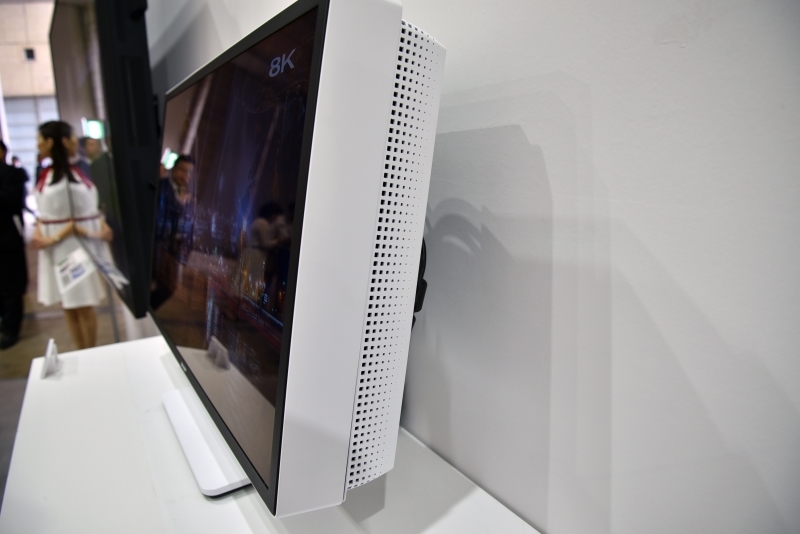 4K hasn’t even completely permeated the market yet, and Sharp is doing them one better with this prototype. See our Best Hardware Picks. Sharp says that the IGZO name is an acronym for the semiconductor materials used in the monitor’s backplane. It is comprised of indium, gallium, zinc, and oxygen. This material can also be utilized with several types of panels such as IPS, TN, and even OLED. The IGZO technology has benefits compared to standard silicon semiconductors in which the electron mobility is 20 to 50 times higher which translates to higher frame rates. It also uses smaller transistors, which translates to higher pixel density as well as lower power consumption. The panel which is shown at the Sharp exhibit is a 27-inch model with a very notable pixel density of 326ppi: double in comparison to the average 150ppi of 4K monitors. It has a stunning 33 million pixels under its belt as well as HDR technology which promises that this monitor can deliver stunning images with ease. No word on the price and availability just yet, but if Sharp decides for this 8K monitor to make the jump to production, we should expect the panel to carry quite a hefty price tag which means the average gamer will have to wait a while before they could get their hands on one. The production monitor (should there be one) will initially most likely be aimed at production houses, graphics professionals as well as business users who need the resolution and can swing the price. Don’t throw away your 4K UHD monitor just yet. Gaming with this many pixels will require a heavy duty rig as well as needing multiple inputs just to be able to stream the bandwidth essential for this monitor to work. 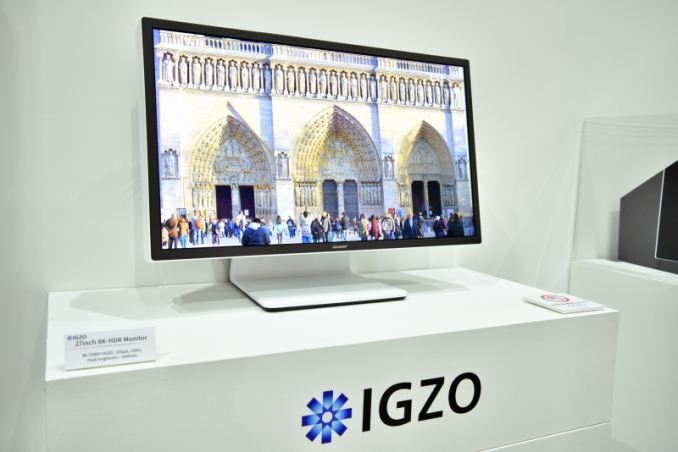 Sharp has definitely shown us that it is leading the pixel race with the unveiling of the IGZO monitor and is continuously innovating with technologies that will make realistic images possible and the monitor market moving forward. Wow! this is the great monitor progressing so fast. Will someone is ready for this?